Hi, Hallee and friends, thank you so much for having me here today. I’m about to turn fifty-one, and still marveling over the feeling of living half a century and wondering what’s to come. I suppose I’ll have to look back one of these days, but so far…I just keep plowing ahead. My husband and I have two grown sons who are married to lovely women. We live in an old house in eastern Wisconsin and have a big garden which didn’t do so well this year in the drought that struck the Midwest. I didn’t start writing professionally until I was in my forties. I’m an historian but don’t often write history because I’m finicky about details. I love to read more than I love to write and can occasionally be found pretending to play guitar in church. I’m celebrating the release of my fifth novel, The Map Quilt, which is…okay, alert people, pay attention here: the sequel to a book that was commissioned by the defunct Barbour Publishing’s Heartsongs: Mysteries book club, The Gold Standard, which came out in 2009 the year the book club closed. It took me two years and the coming and going of agent numero dos to find another publisher for this proposed series of four. 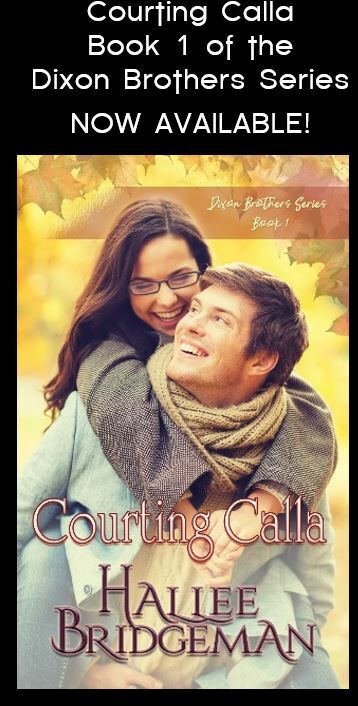 Soooo…MuseItUp Publishing of Canada bought the Second Book in the series, then I got the rights back to book number One, which is being cleaned up, re-covered, and re-released September 21 as The Last Bequest. LOL – those of you still with me: The Map Quilt is a cozy mystery, which means the crime usually takes place off stage and the sleuth is an amateur. 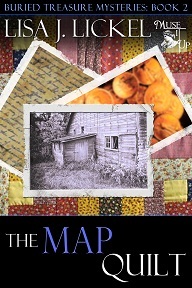 The Map Quilt is the story of a woman set to reclaim her family history, and nothing—not bulldozers, not the absence of funds, and especially not the dead body that she may or may not have had anything to do with, will stand in her way. Should Judy and Hart (the main characters) help her? Hart isn’t sure, and since Judy is ready to give birth to their first child any second, his mom’s making eyes at the chief of police which is just plain wrong, and it was his boss who was murdered by the way, life is rather dicey for everyone. 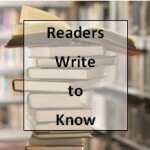 I started writing and getting published when “self-publish” was “vanity” and had a bad rep. Things have changed rather quickly; much for the good, but as an editor, I still see lots of stuff going up for sale that really isn’t ready. I went through a highly professional organization, the Christian Writers Guild, for training, and self-publishing was never a consideration. Things happened pretty quickly with my career, not all of it good, but trial by fire still teaches you how to dance. 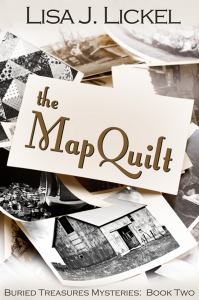 I am putting out the print version of The Map Quilt with a micro-publisher, and I have chosen to work with independent publishers after Barbour. There are a lot of levels of publishing. Yes. That’s my secret to starting and finishing projects. Word count, general length for genre books and Barbour’s mass market book club pre-determined word and page counts, along with cutting my teeth on writing newspaper features instilled in me a sense of organization that keeps me on track. It’s like achieving mini-goals when I have the story outline set up and a number of pages to write to accomplish that goal. Find a mentor who has some experience in publishing what you want to write. Get involved with an active and helpful critique group or at least an experienced author to work with. Study the markets. Develop your presence before you finish your project so that you have an established group of people who will support you when you need it. And most of all: a writer’s goal is not to be published, but to be read. Hopefully by a lot of people. Even strangers. Check the Publisher’s Market Guide and learn how to prepare submissions professionally. You can check out my web site for lots of advice. I really like to plot on paper with a pencil first. I love research and tend to make little notes about what I’m looking for, need to find, or interesting tidbits of information in whatever notebook or napkin or skin surface that’s handy, then gather everything together and start character development pages, scene and setting, plot lines, story arc in a computer file. Then I write a synopsis. There-I said it, that ugly word. Lawn mowing. The treadmill. During the sermon. Most awesome place I plotted and wrote was at a picnic table in a campground at Yosemite. Put together my award-winning novel Meander Scar there. Dr. Suess-all that rhyming and delicious word-smithy; Carolyn Keene-titian hair, really, what a picture; Victoria Holt-all that dark brooding; Ray Bradbury-still is; I have favorite books as well, like the Matchlock Gun-instilled a love of family and history, The Pokey Little Puppy-a sense of curiosity drives life, and The Witch of Blackbird Pond-do things you must, not matter how afraid you are—whose authors I simply can’t recall at the moment. In The Map Quilt, I’d love to be more like Judy, but I’m afraid/flattered/chagrinned to be Ardyth…in a few years…but probably in flowers and purple rather than plaid. Sniff. The plot is a piece of paper until I’m a certain number of chapters in and everything is flowing as planned. If not, then it’s a different book than the one I’m working on. However, a very favorite story of mine that’s being pitched by my current agent had a little different issue. It wasn’t so much that I changed my mind, but that I was foggy when I started writing. A critique group partner whapped me upside the head when we explored “Who’s story is this?” That question cleared up all the problems I’d been having, as I realized I was telling the story from the wrong perspective. I’m still amazed how that question saved the work. The inklings of The Map Quilt were laid before I took the plunge into professional writing. We bought a farm on the other side of the state from which we currently live. I mentioned that I’m an historian at heart—when I learned more about the unique and powerful history of the rural community it stayed in my mind. It wasn’t a “I’ll have to write a story about this someday” feeling, but one of those pieces of news you just can’t shake, like the song lyric that lingers in your mind. Once I knew who Julietta was in The Map Quilt, I knew exactly how the history of Cheyenne Valley was crucial to the story line. http://www.lisalickel.com – all my social networking links are on there – the blogs I write for, my blog, and facebook. 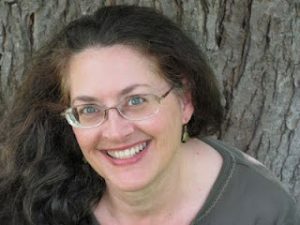 This entry was posted in Hallee's Interviews with Christian Authors and tagged author interview, BARBOUR PUBLISHING INC., Entertainment/Culture, Human Interest, interview, Lisa Lickel, mystery author, readers write to know, the map quilt. Bookmark the permalink. Thanks—I never had a sis, but I never felt more like I had one than when we connceted on Skype for the book club. Oops – sorry, didn’t mean to scare you! Don’t run away…. What I need to say is that without you, Patty, my friend, my web presence would be yuck. Oh, Lisa — The Pokey Little Puppy, Carolyn Keene, Victoria Holt, The Matchlock Gun, the Witch of Blackbird Pond — we really ARE kindred spirits! 😀 And I’m about to turn 51 too! Congratulations of The Map Quilt going to print! Wonderful and insightful interview Lisa! You’re quite the accomplished writer and your latest novel The Map Quilt sounds intriguing. 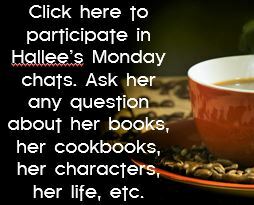 Thanks Hailee for featuring Lisa and her adventures in writing. Love the interview–such great questions! I love cozy mysteries and one of my favorite TV mystery series was “The Snoop Sisters” with Helen Hayes. Your mysteries sound wonderful and I’ve definitely got to check them out. Thanks for sharing Lisa and her writing with us, Hallee! Greetings, Sandra. I’ll have to check into the Snoop Sisters. I don’t remember that one, but I adored Helen. What a gal. she had family in the town where I grew up and came to visit upon occasion. I figured you’d get “Ardyth”! I do love her. Thanks for you, my friend! This was a very interesting and helpful interview for me as a fellow writer. I enjoy reading about how successful novelists approach their writing projects. So nice to get to know Lisa better as well. I’ve just started reading Liza’s novel, A Summer in Oakville, and I’m hooked already! Keep writing Liza. I’ll help make your dream “to be read” come true. We all need help, Rose! It’s been a joy getting to know you too. Sounds like me, getting ideas in strange places, but you know what they say, a writer isn’t ever NOT writing =-) Blessings! Yes, even subsconsciously, spinning out tales. Have you ever had those moments when you wake up and must capture the last scene? Yes, you will…hmmm–forget if you e-read or not? And which version? I’ll send a copy pronto. Hi Lisa, You are very attractive. A perfect 10.I enjoyed reading all about you and I am glad to see you as a part of John316. I’m an old man of 107, I’m happily married, but I can still jump over fences. I like writing for the Kiddies as well as other stuff too. Wished I was a few years younger though… but I’m happy with whatever the Lord gives me. I tried to leave a message earlier via my smart phone but something went wrong. 🙁 I loved this interview. There were some new insights that I hadn’t read before. Thanks for your continued and deeeeeeeeply appreciated support, Tracy, my fellow in arms. Lisa, i loved hearing about you and you accomplishments. And i believe there is more you did not put here. I am not into fiction and i have been planning to start on reading fiction since i have fiction ideas. But I think The Map Quilt will be my first stop. It sounds so interesting. All the best to you and The Map Quilt. Hello, Emelia, Thanks for coming over. I so enjoy the word pictures you made in your non-fiction and think you already have a strong voice that would make sweet fiction. Enjoyed the interview! Loved reading about your writing journey. Inspiring and encouraging. Thanks Lisa.